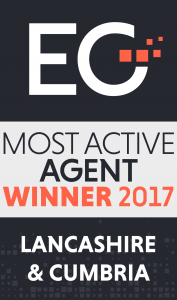 Modern offices at 8 Sceptre Court, Bamber Bridge, have been sold to a private pension fund by our Agency team, on behalf of Eric Wright Group Ltd, whose head office is also at Sceptre Court, Bamber Bridge, Preston. The 3,250 sq ft, fully-fitted, open plan offices are located in an attractive landscape setting, adjacent to Junction 9 of the M61, Junction 2 of the M65 and Junction 29 of the M6 motorways, providing easy access into the remainder of the North West and national motorway network. Preston, Blackburn, Chorley and Leyland are all within a 5 mile radius. For more information on available office properties in the area, please call our Agency team on 01772 769000.